Cedar City is a surprisingly charming town hidden away in Southern Utah. As a vibrant college town, a gateway to multiple national parks, and home to a variety of entertaining festivals, Cedar City holds something for everyone. 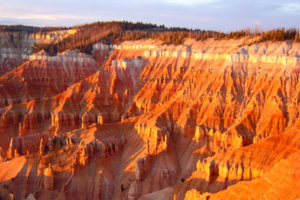 Uniquely nestled between some of the most incredible national parks Utah has to offer, Cedar City is a nature lover’s destination. 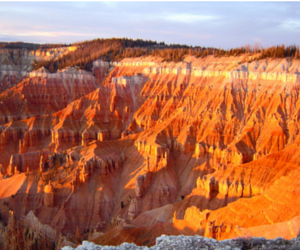 Only 23 miles from town is Cedar Breaks National Monument, a place anciently called “Circle of Painted Cliffs.” This enormous natural amphitheater has cliffs that climb 2,000 feet and is filled with stone spires, arches and intricate canyons that exemplify red rock landscape. The area makes for a great day trip of sightseeing, photography, hiking, picnicking and camping among world-class views. Also nearby is Kolob Canyon, a lesser known section of Zion National Park. Kolob – which gets its name from early Mormon settlers and means “residence closest to heaven” – is off the beaten trail of Zion’s main park section, but is just as spectacular as the the canyons of main park itself. Those visiting Cedar City (aka Festival City USA) during the summer will find a number of opportunities to check out one of the town’s vibrant festivals. 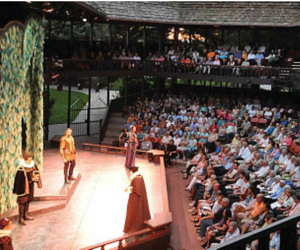 Most famously, Cedar City is known for the Utah Shakespeare Festival. This Tony Award winning regional theater puts on events throughout the summer including performances of Shakespeare’s classics in their recreation of the Globe Theater and contemporary plays, as well as seminars, classes, tours and free nightly “Greenshow” performances providing entertainment from the outdoor stage. Six shows run from July 25 to October 31 each summer. In addition to the Shakespeare Festival, it’s worth checking out other summer favorites like the Groovefest Americana Music Festival, Wildflower Festival and The Utah Midsummer Renaissance Faire. If winter travel is more appealing, Cedar City still belongs on the destination list. The town is a launching pad for southern Utah’s premiere winter playground – Brian Head Resort. Receiving more than 400 inches of powder annually, it is Utah’s highest base elevation resort at 9,600 feet. 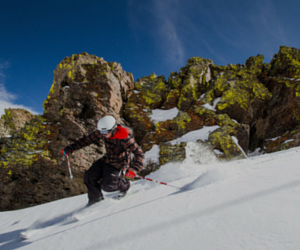 With over 650 acres, eight chairlifts and 71 runs, it has something for all skill levels. And during the summer, Brian Head transforms into a mountain biker’s paradise, offering even more adventurous options. 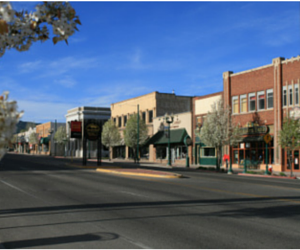 Fly into Cedar City Regional Airport (CDC) on one of the daily Delta Connection flights, operated by SkyWest Airlines, from Salt Lake City (SLC) and start enjoying this charming town today. The best fares can be found at delta.com.